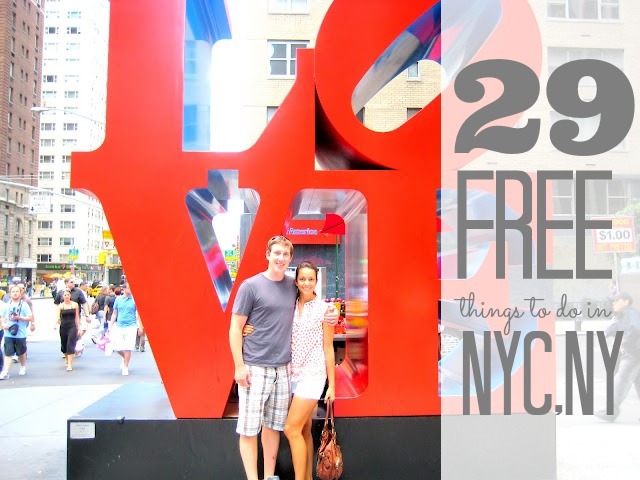 Free Things To Do in New York City - C.R.A.F.T. Note: Did you know that we’ve got 50+ guides with 10+ fun, free family friendly things to do in cities all over the world! Check out the complete list here. I like to call it Creating Really Awesome Free Trips! I love New York City! 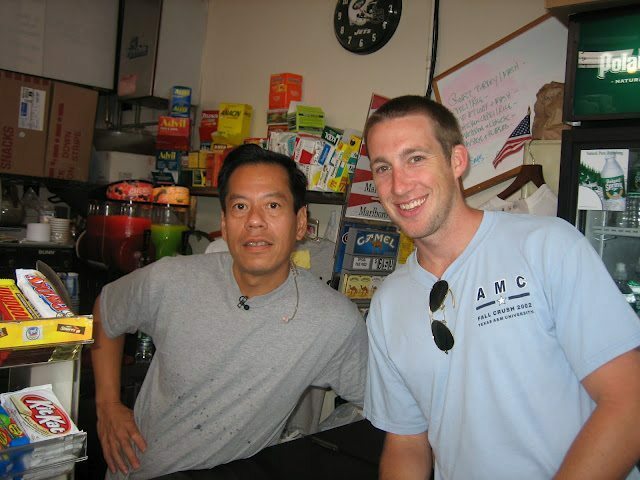 I had the opportunity to live in the big apple after college and I worked there every summer until I had kids. I love the smell, the people, the action, the food, the shopping, the walking, I love it all. 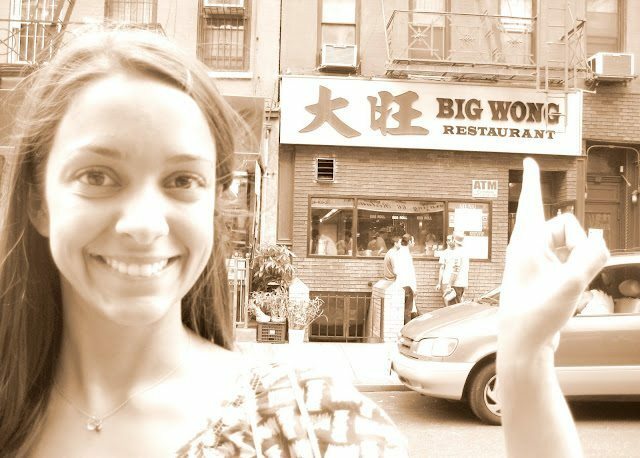 New York City has so much to offer! 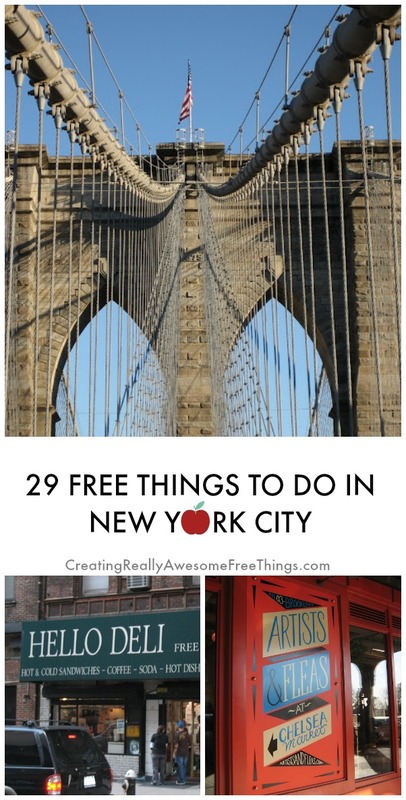 Get yourself to the big apple, find a place to stay, and I’ve got an awesome list of free things for you to do while you are here. To do everything on this list would take a good month! 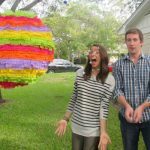 I divided the list up categories to make choosing free things to do as easy as possible. I recommend picking 1-3 things to do in a day, and take time to explore your surroundings. 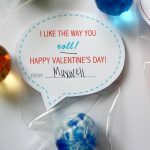 Oh and if you like cupcakes, be sure to checkout my lower Manhattan battle of the cupcake and 10 fun, free things to do with kids in downtown Manhattan. 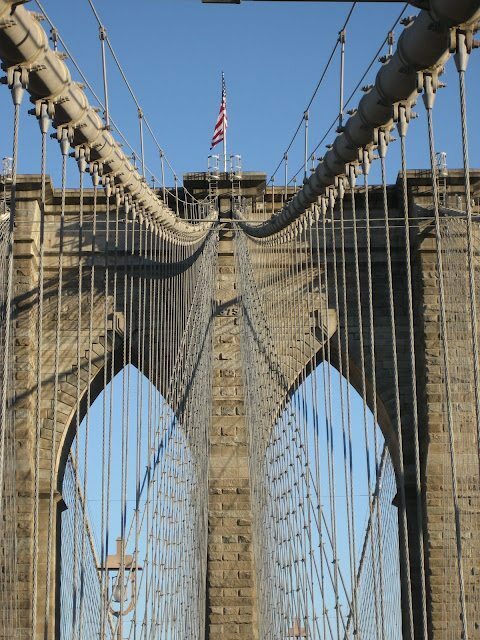 Walk, jog, skip or ride a bike across the Brooklyn Bridge. You will absolutely want to take pictures of the Manhattan skyline or the bridge! 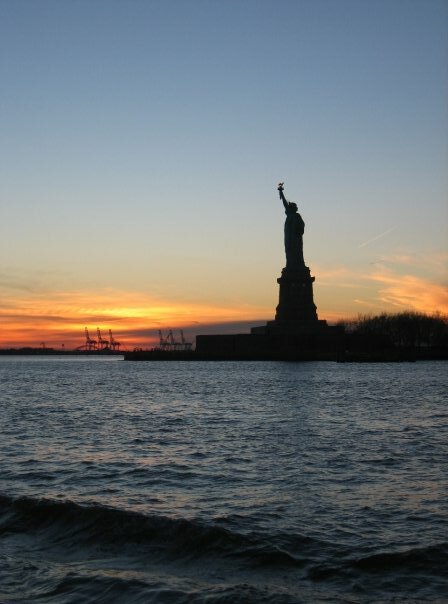 Enjoy a free ride around the New York Harbor and lots of fun photo opportunities, including the Stature of Liberty. Try to avoid the rush hour ferries from 7-8:45am and from 5-6:45pm because they will be packed. Ferries run every 3o minutes except during rush hours they run every 15 minutes. The ferry ride is one of the best views of the Statue of Liberty. Pro tip: You can reserve ferry tickets from Manhattan to Ellis Island for $25.50 that include access to the Statue of Liberty. If you’re lucky, you can take a picture with Rupert. The sandwiches are yummy too. Take a cheesy, but adorable picture in front of the love sculpture at 6th Avenue and W. 55th. 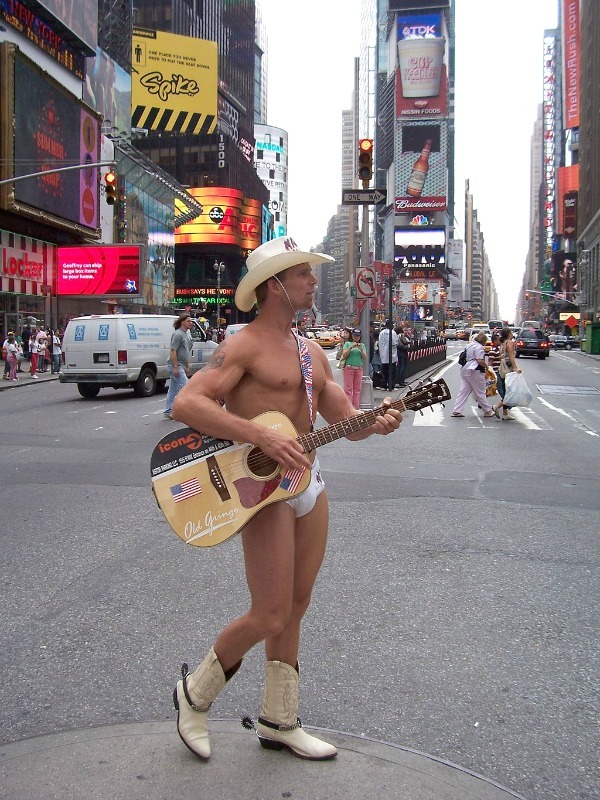 The Naked Cowboy can typically be spotted on the corner of 45th and Broadway in Time Square right before lunchtime! Grab a picture! My husband and I saw the David Lettermen many moons ago. Just remember, this takes advanced planning. Although, if you are willing to wait in long lines, you can sometimes get stand by tickets too. 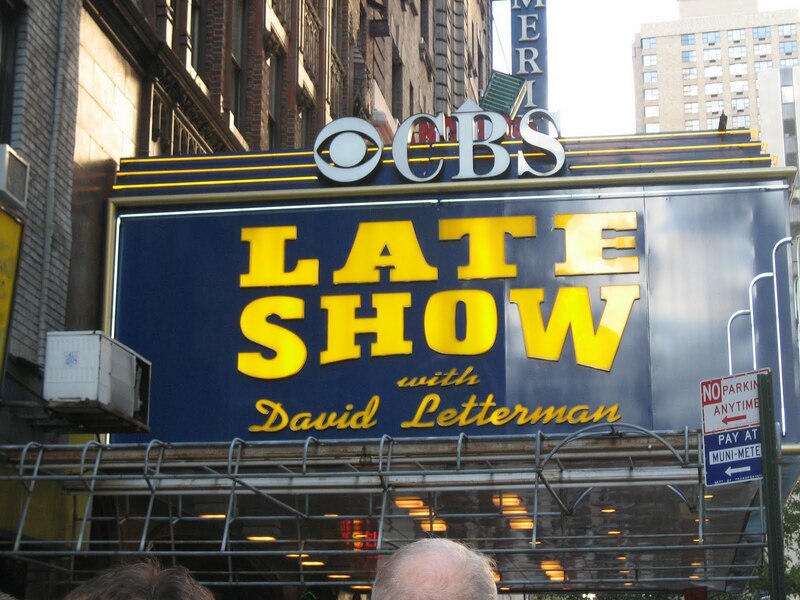 Good Morning America – Visit their Times Square studio, Monday through Friday, from 7 a.m. to 9 a.m., at Broadway and 44th Street, and be a part of our live audience! 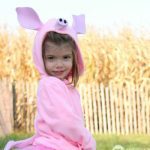 Most activities on this list can be done with kids in tow, but the following 5 things are my very favorite free kid activities. Free Admission! This is a kid must do. Call (212) 833-8100 to reserve tickets at least 7 seven days in advance. You ca reserve tickets Tuesday- Friday 9-2pm. The address is 550 Madison Ave. at 56th St.
General admission is free on Wednesday, but a donation is encouraged. 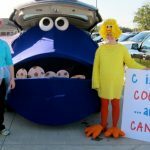 Bring a picnic linch and make this is an all day event! It is also always free to kids 2 and under, members of the U.S. military with a valid military ID, and to NYC undergraduate college students. Roosevelt Island is a tiny island between Manhattan and Queens. The tram from Manhattan to the island is a 4 minute ride and has awesome views! An adult ticket is $2.75 one way, but up to three 3 children 44 inches tall and under can ride for free when accompanied by a fare paying adult! If your kiddo loves all things transportation, this is a don’t miss inexpensive activity! Be sure and visit the FDR Four Freedoms State Park while you are there. It’s always free, but closed on Tuesdays. This is one of our go to spots in the Manhattan, it’s a huge 550 acre park, with 400 acres of river front property! We like to grab a few slices of pizza and hang out on the grass. The views are beautiful and Maxwell loves smelling the flowers and making new friends. Oh and the people watching is great too. There is a lot more to do than picnic on the grass. 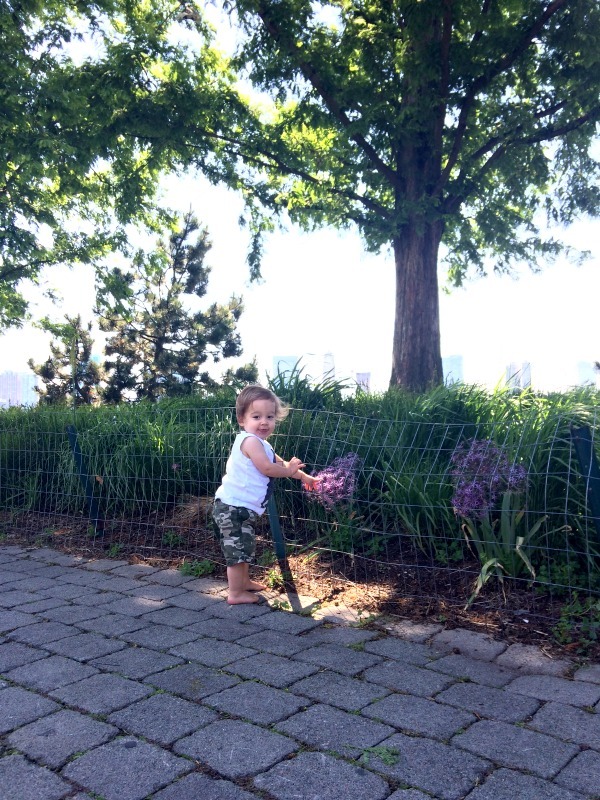 I wrote another post with 10 free things to do with kids in downtown Manhattan with more details about the Hudson River Park! Kayak in the Hudson River with your kids for free on the weekends from the middle of May until the middle of October! One child is allowed in a kayak with one adult. You can launch a free kayak from Pier 26 or Governor’s Island. Free public kayaking begins on May 19th at 9am for the 2018 season. Be prepared to get a little wet! Visit the 9/11 Memorial Plaza and and Museum. Memorial Plaza is free to visit, but you can also take a guided tour from a staff member for $15. The 9/11 Museum is free on Tuesday evenings from 5-8, the last entry is at 6pm. 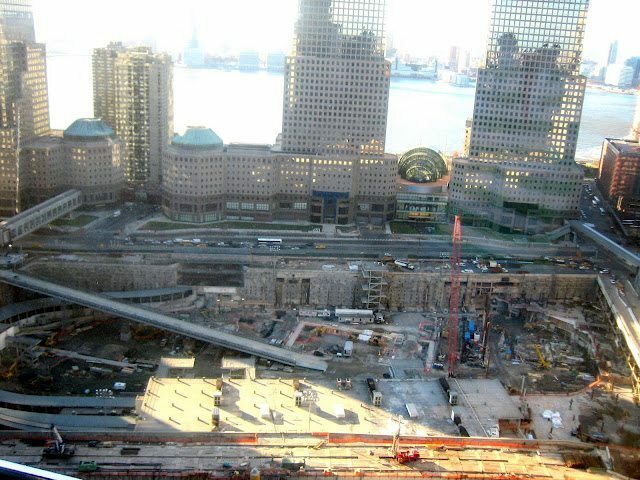 Below is a picture from 2008 that I took of the 9/11 site when it was still being built. 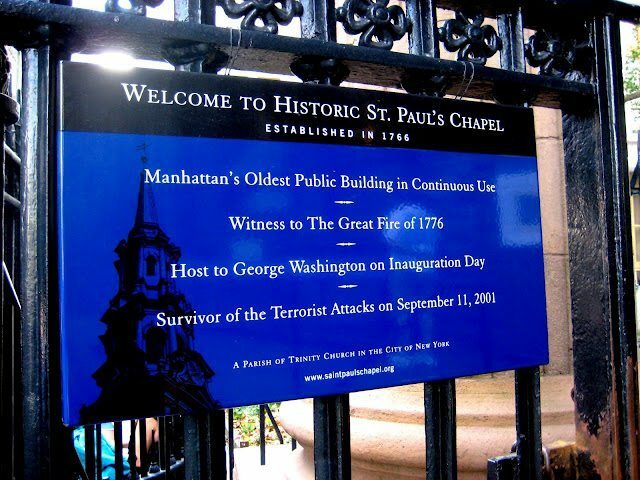 Not only is it Manhattan’s oldest building in use, it also withstood September 11th, and played a huge role in hosting recovery workers after the attacks. 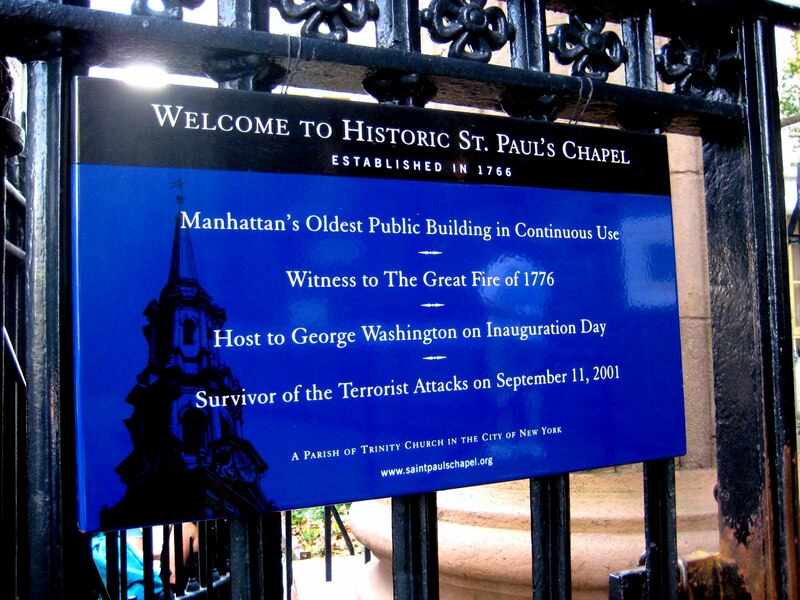 St. Paul’s Chapel sit directly across the street from One World Trade Center. Inside, there is a 9/11 Chapel of Remembrance that reflects on the role the church played in the aftermath of the attacks. Admission is free every Friday from 4-8pm. Get there early because the line can wrap around the block! If you are not there on a Friday evening, adults tickets are $25, but kids 16 and under always get in free. MoMa hours and admissions info here. Adults tickets are $25, and kids under 18 are always free. Free admission on Thursdays from 2-6pm. Closed on Monday and Tuesdays. Kids under 1 year old are always free. Take a free 60 minute tour to learn about the role of the Federal Reserve System and money. Tours take place Monday through Friday from 1-2pm. Pro tip: No strollers are allowed. Central Park is 843 acres, and was established in 1857. 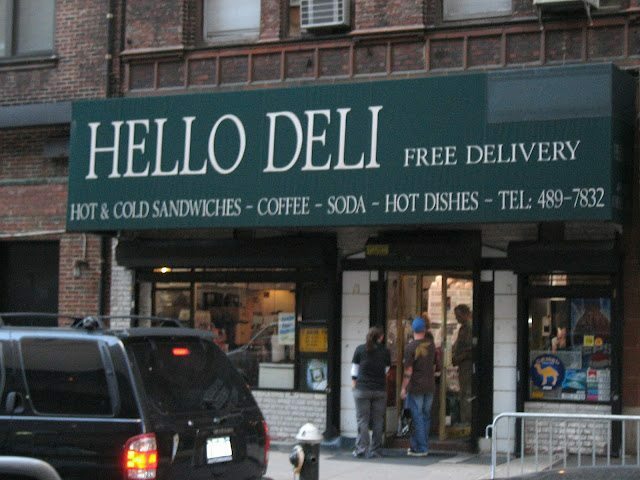 It is 2.5 miles long between 59th Street and 110th Street, and is 0.5 mile wide between Fifth Avenue and Central Park West. Central Park is also a great place to walk and explore with kids. Central Park has 21 playgrounds for kids! Here is an awesome list with descriptions of all 21! Don’t miss the Heckscher Playground oringially built in 1926, but recently updated in 2006. The playground has separate play structures for preschoolers and older kids, a climbing boulder, a giant sandbox, and in the summertime, awesome sprinklers. That’s right, with the Urban Park Rangers you can camp for free with your family in parks across New York City. S’more’s included! Since 1956, children have gathered around Hans Christian Andersen’s statue at the Conservatory Pond in Central Park to hear fairytales from around the world. Storytelling happens every Saturday at 11am June, July, and August. A fun, free summer evening event in Central Park at Delacorte Theatre. From my experience, this requires a little patience to stand in line for free tickets! There are 4 places throughout the city to get your free tickets. For the 2018 summer season, there are two performances: Othello (May 29- June 24) and Twelfth Night (July 27- August 19). Get an insiders look at the world’s greatest urban park with free tours from the Central Park Conservancy. The tours cover many parts of the park including a welcome tour, hound hikes, and even a birding tour. This isn’t free, but it is personally one of my favorite things to do in Manhattan and Central Park, and it provides hours of fun! There are 3 parts to the Manhattan Waterfront Greenway: We like to ride on the Hudson River greenway because it is the longest, and the entire path follows the river and is separated from traffic. Check Groupon for a good deals on bike rentals, we typically get bikes for $20- $30 for the day. The Botanical Gardens offers free admission on Friday mornings before noon from March through November. There is also free entry on weekdays December through February! Not able to go on a free day? Adult tickets are $12, and kids aged 12 and under are always free. A 585 acre park in the heart of Brooklyn! There are lots of free, fun things to do with kids including playgrounds, basketball courts, nature walks, paddle boats, and picnics! 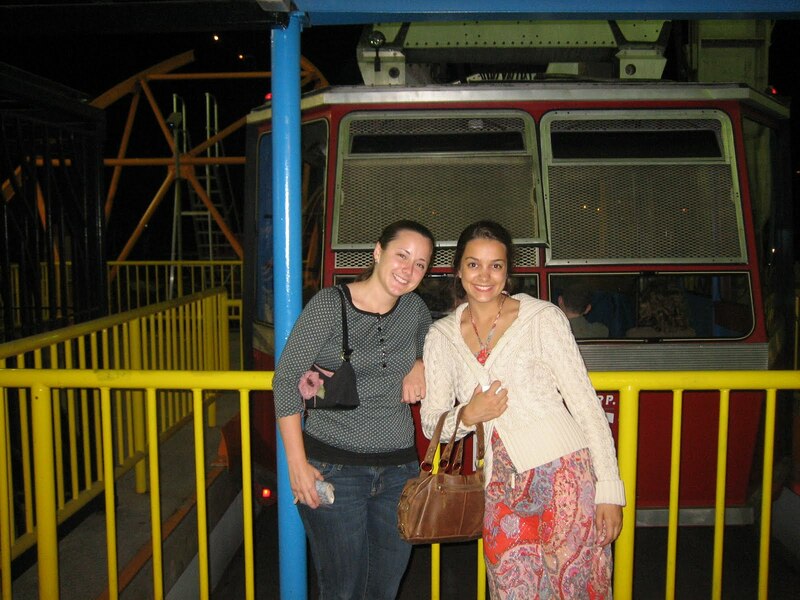 There is a also a historic carousel that costs $2.50 per ride. Socrates is open 365 days a year from 9am until sundown and admission is always free. You can request a 35 minute self guided tour for free here. The High Line was originally built to travel safer for trains and cars in the early 1930’s. Before 1930, 10th avenue was nicknamed Death Avenue because of all of the train and street traffic accidents. The growth of interstate trucking led to a decline in the use of railroads and the High Line. The last train ran the High Line in 1980. The park is renovated and fully opened to the public in June of 2011. Read more High Line history here. The current look of Grand Central Station was completed and open to the public in 1913. It’s a beautiful station with 60+ shops and 35 restaurants. I highly reccomend having a cupcake at the Magnolia Bakery! Window shop at the fancy stores. Be sure to check out St. Patrick’s Cathedral, The Plaza Hotel, Apple Store, and admire the fancy apartments as you head north along Central Park. Oh and the Apple Store is open 24 hours a day, 7 days a week, 365 days a year! You can see the giant glass cube Apple Store to the left of Andy in the picture below. 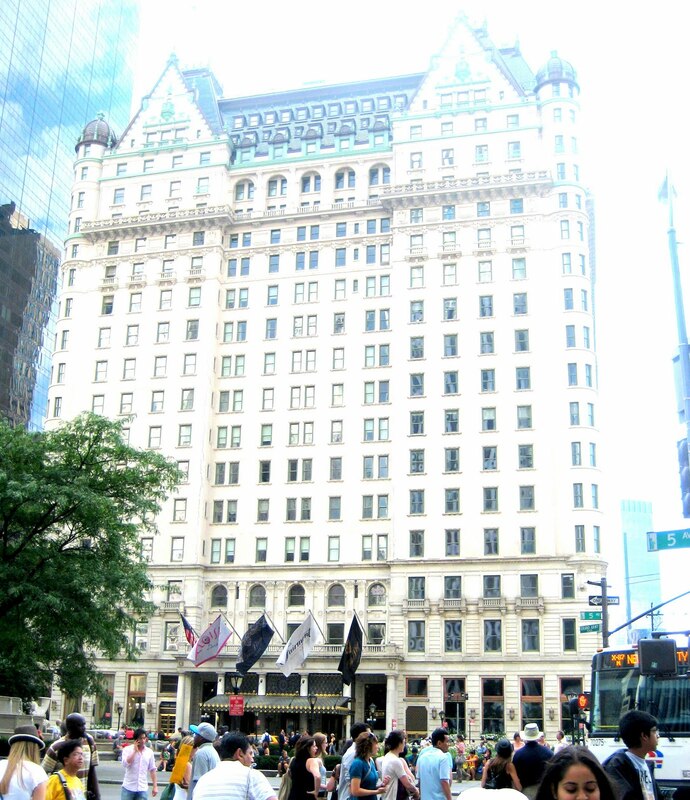 The Plaza Hotel is right across the street from the Apple Store. 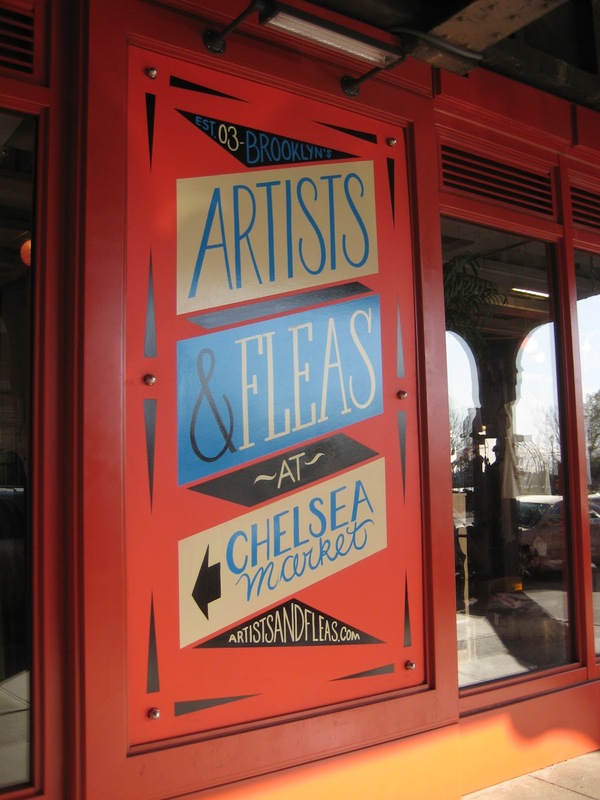 Chelsea Market doesn’t fit into one of my categories, but I had to include it! 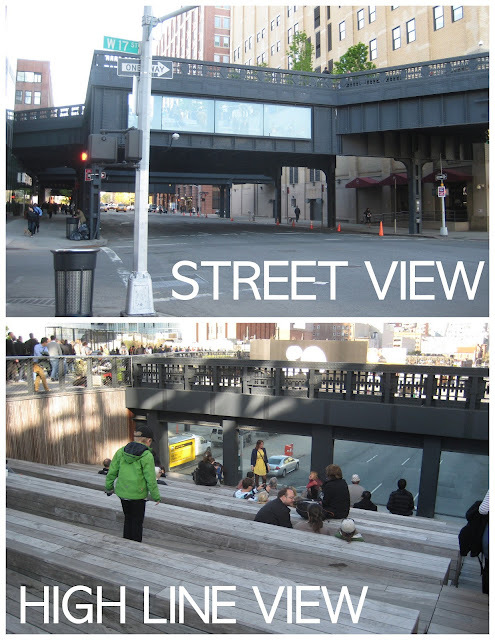 It is located directly below the High Line at 15th Street, this venue is always changing. There are restaurants, bakeries, artists, sample sales, concerts, and even a flea market! Grab a delicious brownie at Fat Which and enjoy browsing the goods with the kids in tow (or not). I really want to visit NY sometime in the future. Thanks for listing all of the fun things to do! Hope you enjoy the long weekend. 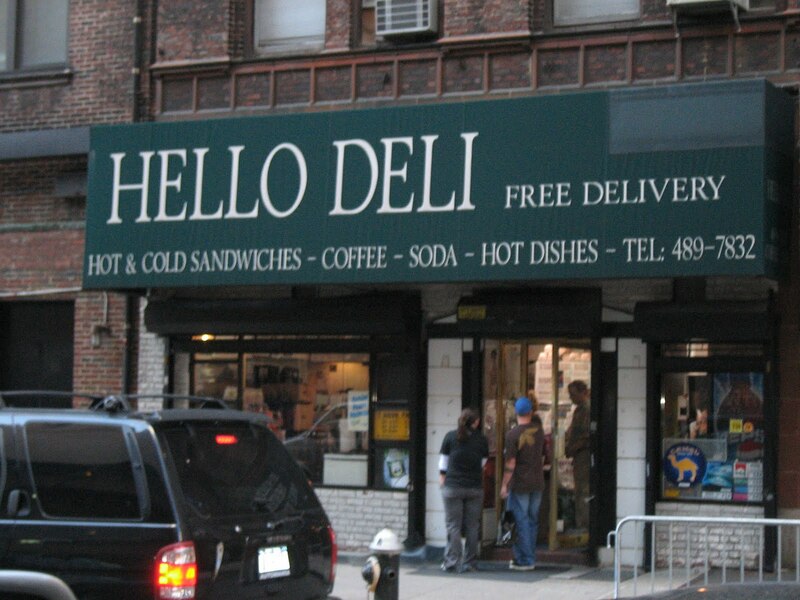 What an amazing list of NYC freebies! These could fill up a while trip! Thank you so much for sharing these with us at the #SmallVictoriesSundayLinkup! Wow, this is a great list! 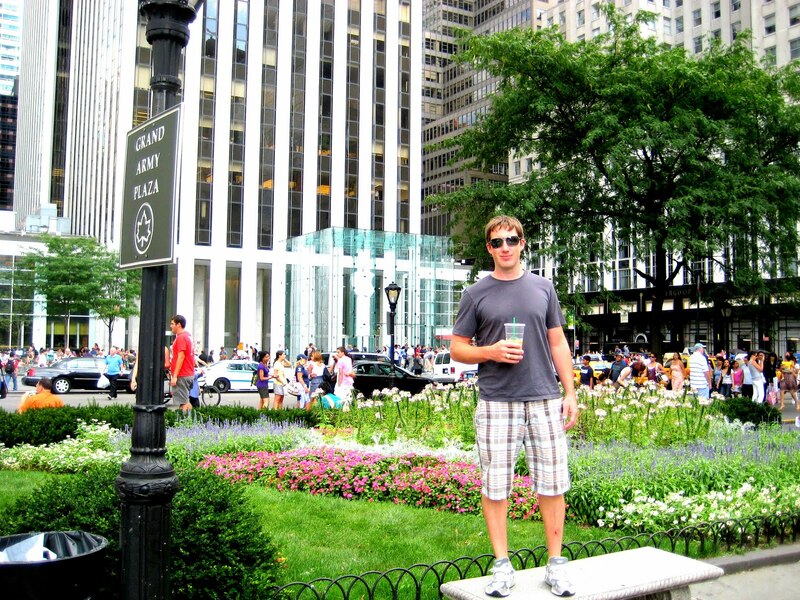 It’s been a long time since I visited NY and I definitely want to go again. Totally saving this list for future reference. 😉 Thanks for sharing and linking up with us at the #HomeMattersParty! Hope you’ll join in again! Thank you! We are planning a Thanksgiving trip and are planning to hit a good number of these on your list. I have only 1 question.. for the tram to Roosevelt Island.. did you do anything when you got there or did you just ride the tram there and back (staying on it), which I assume you pay for a ride there and back, so roughly $5 a person? I have been trying to look up things to do in RI, but cannot find too much other than maybe a lighthouse and garden areas..
We just wandered around, and had a little picnic on the grassy area! This is a great list. My daughter is spending a month in NYC studying over the summer and will enjoy a bunch of these things. Were going the day they light up the tree! Can’t wait! Thank you for listing these! !